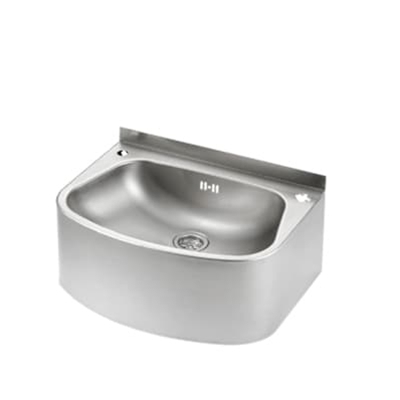 Wall mounted stainless steel wash hand basin c/w integral skirt. 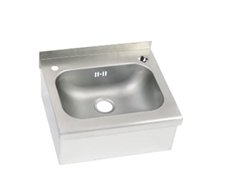 Two tap holes at the rear to be used with a single inlet spout and soap dispenser or a pair of basin taps. 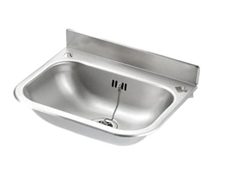 Unit is fitted on the wall via four keyhole slots on the back and comes complete with combined overflow waste kit.